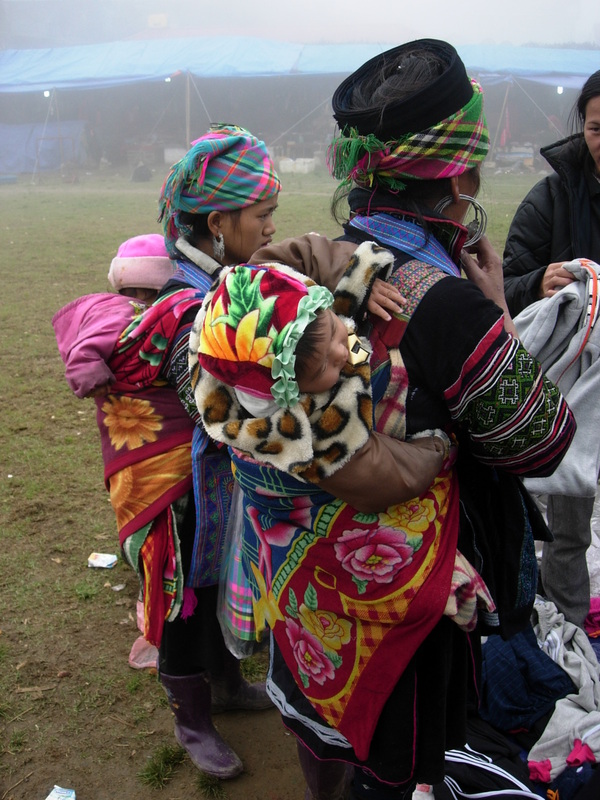 Red Dzao women with their billowing head dresses festooned with tassels and metal trinkets and Black H’mong in colorful brocades and adorned with silver bracelets and earrings. 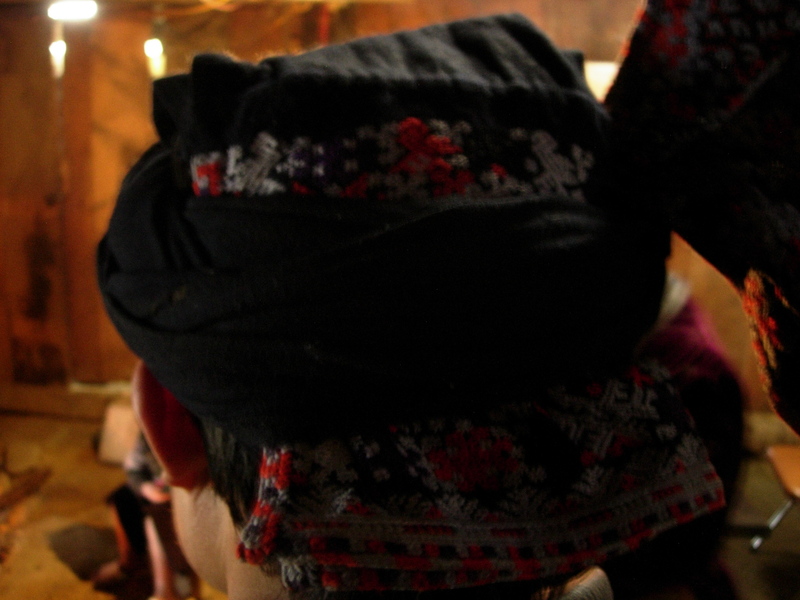 Never mind that your first contact with them would be through a chorus of “buy from me!” Interacting with these traditional people living in the hills around Sapa is a wonderful experience in the politics of highland life, tourism, and commerce. 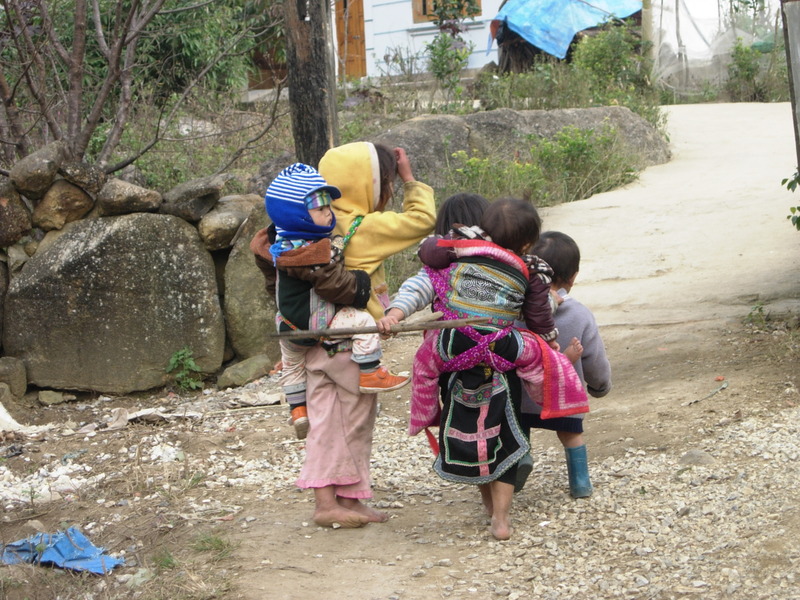 While Sapa is definitely tourist-heavy and traditional villages and people are increasingly opening-up to visitors, much of the people and the outlying villages still retain their charm. 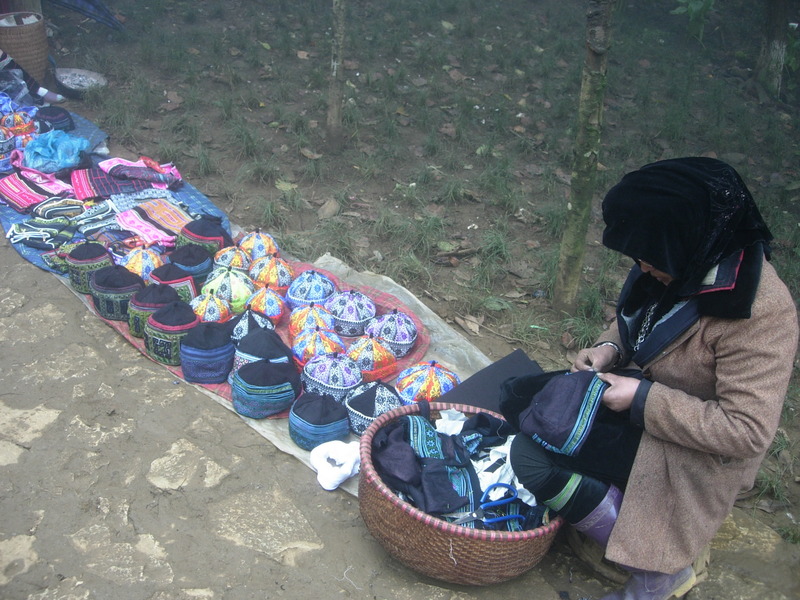 It’s a little putting-off when you see sewing machines inside traditional village houses churning out stuff for the tourist market but at least it helps bring income to these marginalized people and in a way helps sustain, well…. their sense of fashion, something you rarely see nowadays with traditional people especially in Southeast Asia. Plus the vendors themselves point out “this better handmade.. this one from machine.. not good.” After all much of the stuff they wear and like to sell come from their own hands. Witness the women crouched in some street corner sewing some brocade while waiting to pounce on the next hapless tourist. 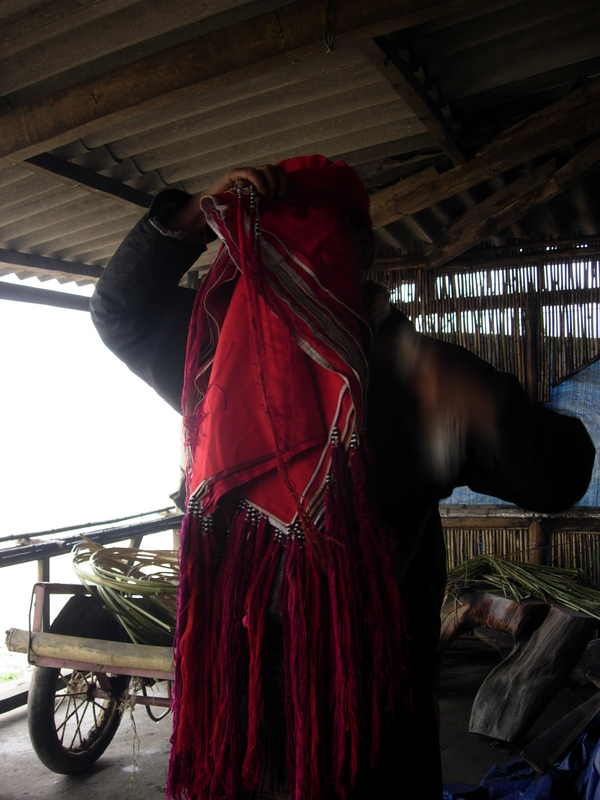 Or the elderly women winding abaca fibers around their hands while joining the tourist crowds in their walks across rice fields. 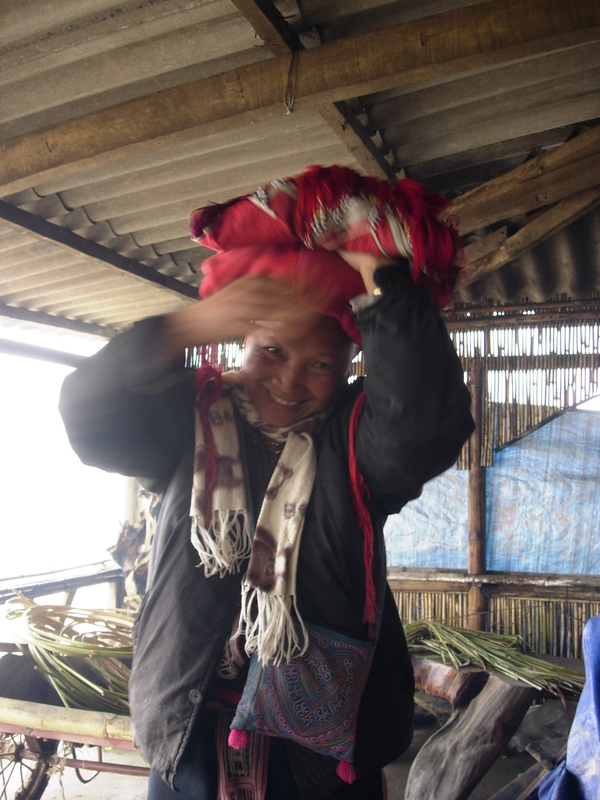 What’s great with Sapa is you can buy a lot of traditional stuff without the guilt of buying something irreplaceable. 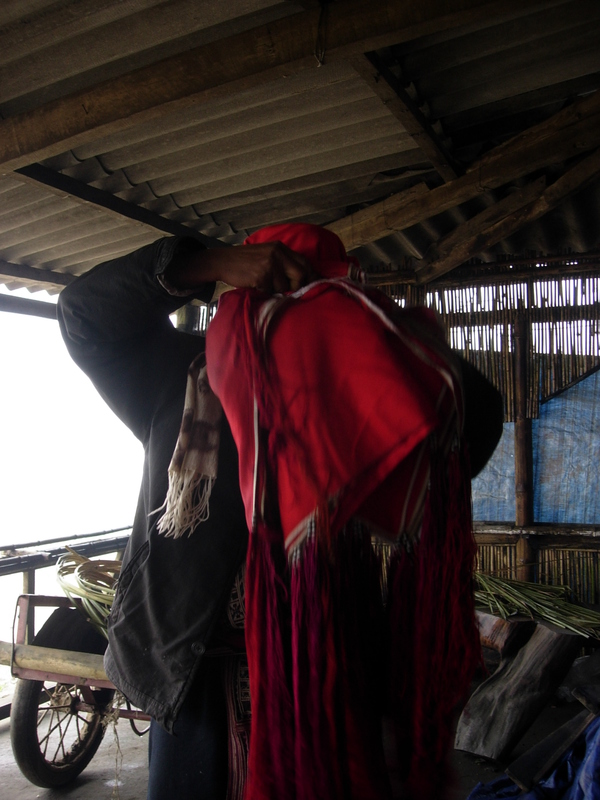 Thus the assurance from a Red Dzao vendor in Ta Phin that it was all right for me to purchase the elderly woman’s husband’s piece of cloth wound around the head to make a head covering as she could always make a new one. It was hanging to dry in one corner of her house which I visited. On hearing that I was inquiring about a male head covering, she quickly grabbed it and offered it to me. It’s actually fun to banter with the villagers especially the Red Dzao who aren’t as pushy as the Black H’mong. 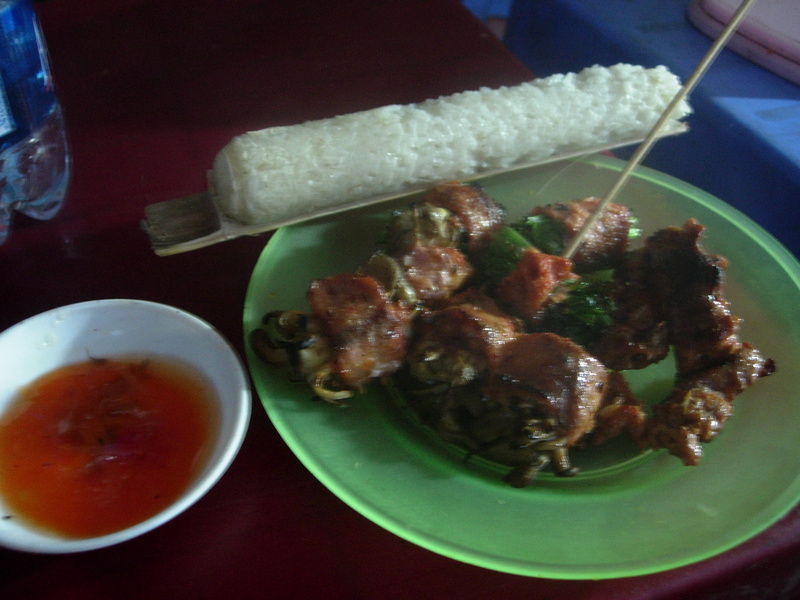 “Enjoy your meal,” one even told me when I told her I’ve already bought some stuff from other vendors and wasn’t going to buy anymore. A healthy attitude and loads of patience towards all the “buy from me” is best so as not to spoil the experience. At least “thank yous” are quite profuse and in my case, I got free hand-woven bracelets because I bought from them. The town itself is just like any hill station established by the colonists. Leave it to the French to turn a plateau to worthwhile recreation site. The roads are good and there’s even a Catholic church. Accommodations are cheap though I find the height of some hotels too be too obtrusive on the skyline. A lot of Europeans were going on treks with homestays but I didn’t try any of those as the ones I saw at Ta Van seemed a bit too touristy. 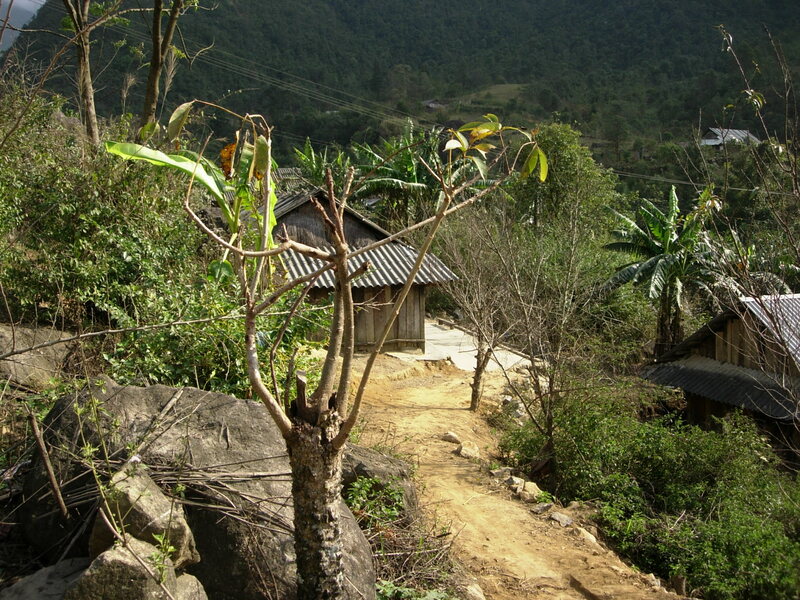 I told my guide at Matra than if I were to do a homestay I want one really authentic—staying at a real house and not purpose-built nor modified for tourists and doing what the locals do. 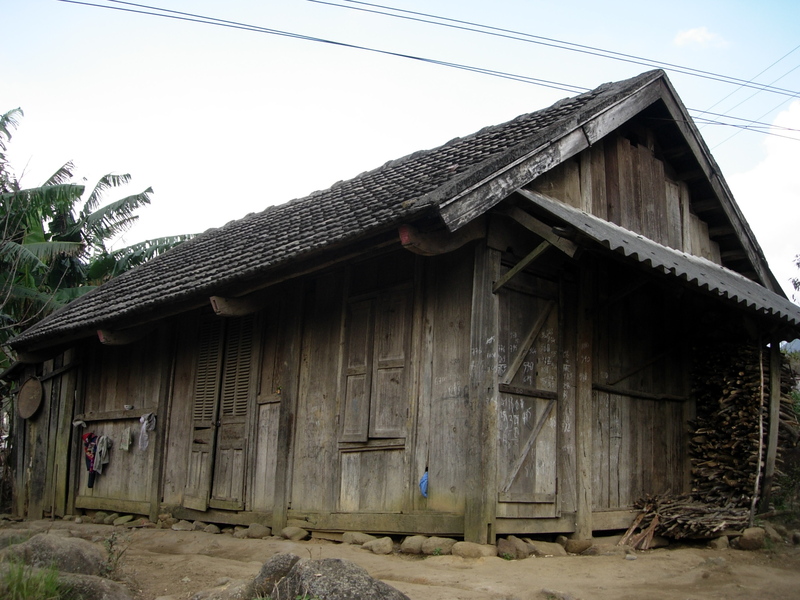 I used the H’mong house we visited in Matra as an example. I think he was quite stunned that I was willing to stay in such conditions. 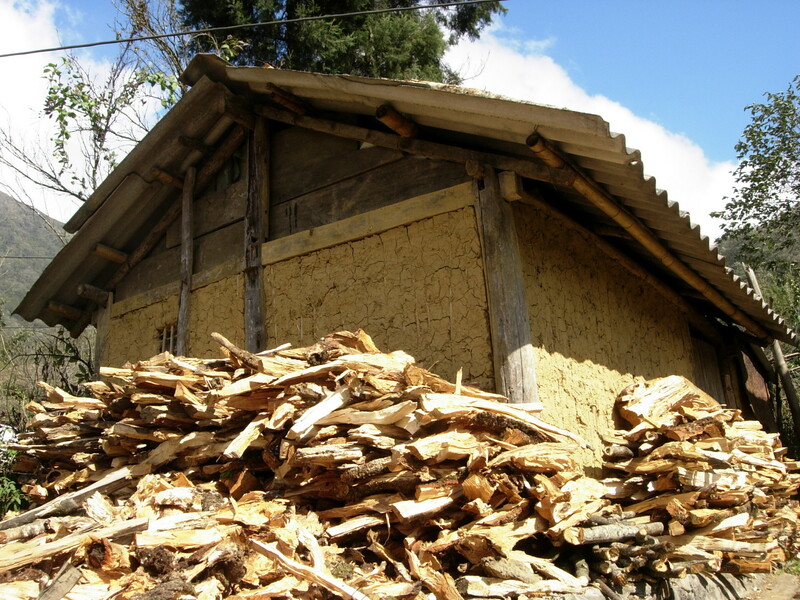 Would you like to live in a house made of clay? How about a wooden one? Food wouldn’t normally be top of mind when it comes to hill towns but Sapa had wonderful options ranging from traditional Vietnamese to Italian and even Indian! Red Gecko Restaurant had a really quiet and cozy ambiance and their 80,000 set meal (soup, rice, spring rolls, chicken on a hot plate, banana crepe, red wine) was good value. 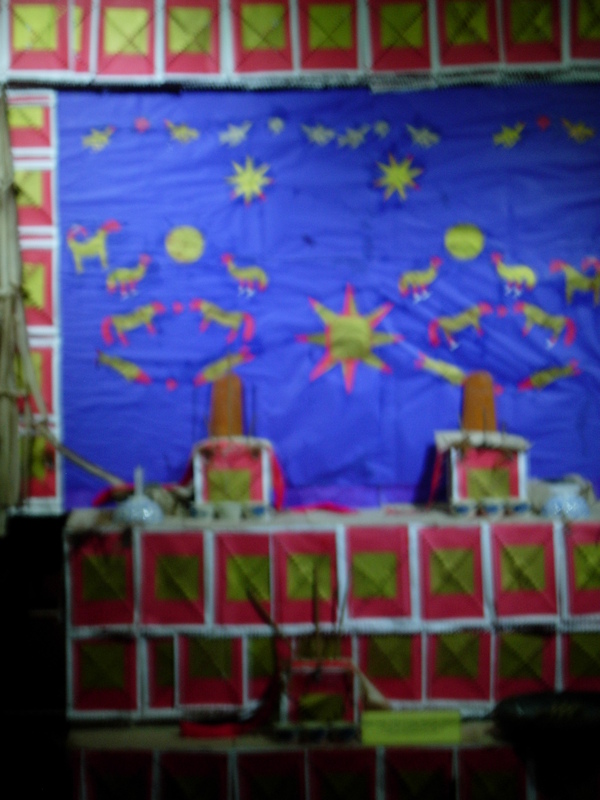 But of course, the best is out there in the streets among the small tables and stools near the church. Grilled meats wrappwed around vegetables is comfort food amidst the really cold weather. There were whole roasted chickens that I would have wanted to taste but they looked so “dead” with the head and even combs intact! What I liked most about the eating scene at Sapa are the bakeries with yummy chocolate tarts, apple pies, breads, and cookies. A cup of Sapa tea and a nicely stoked fire place completes the picture. The best of all these bakeries was Highlands Bakeshop though it’s lacking in character. 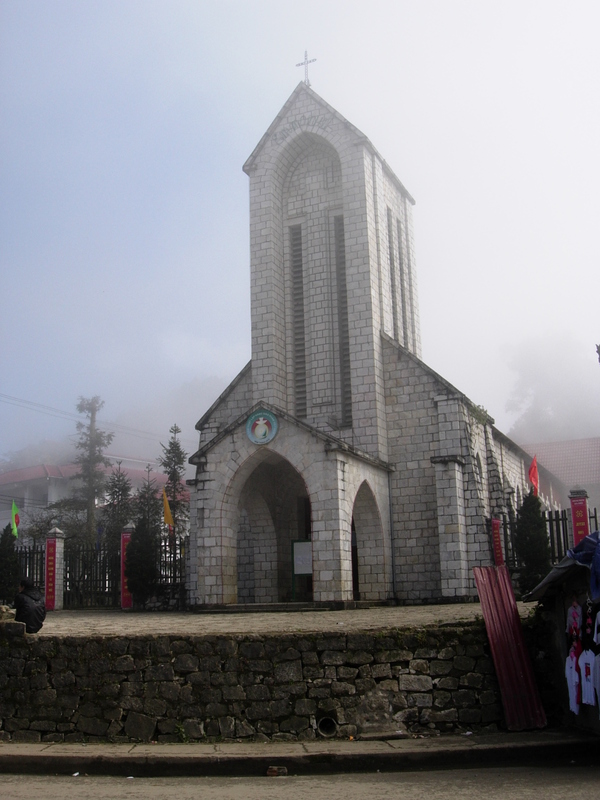 Near Baguette and Chocolat is the Sapa Museum which should be first on anyone’s list as it provides very helpful information and insight on the colorful human and cultural mosaic that makes up Lao Cai Province. It’s free and very well curated. On my last day at Sapa, I mustered enough courage to hire a motorbike to bring me to Silver Waterfall and Tram Ton Pass. The driver could hardly speak English but he was very nice and pointed out sights to me and encouraged me to take photographs. 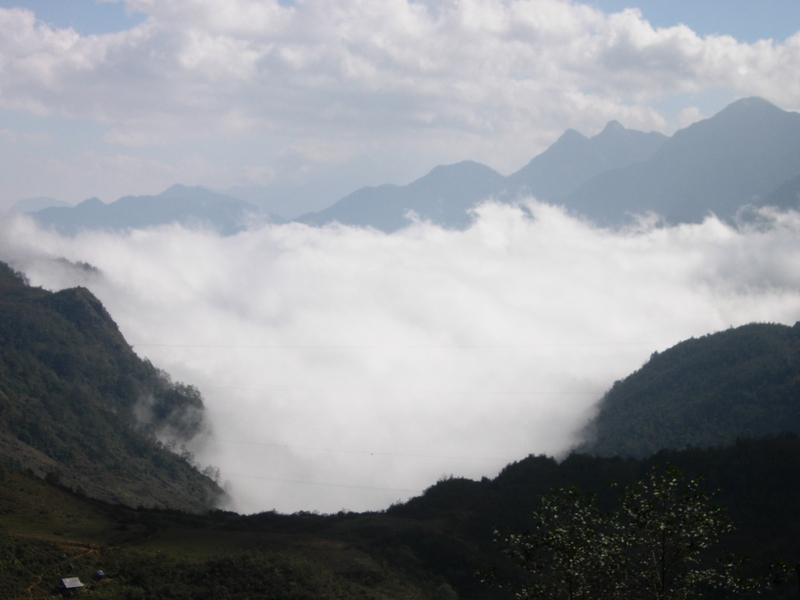 It was amazing how the weather suddenly changed as we sped away from Sapa leaving behind all the clouds. For the first time since arriving, I saw clear blue skies and felt the sun rays on my skin. “Look!” My driver gleefully pointed out the sun to me. 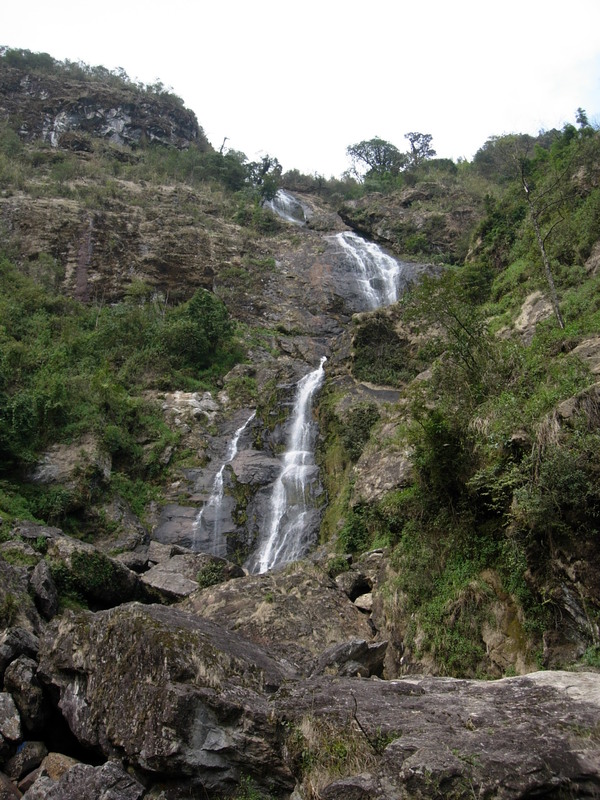 Because it was the dry season, Silver Waterfalls wasn’t as impressive. It was towering though and I had the place all to myself. There wasn’t anything to see at the view point at Tram Ton Pass as everything was covered with clouds below. My driver offered to bring me to Ta Phin but I declined as I’ve already been there the day before. So he brought me to Tu Va which was a really small village about 15 kilometers away. 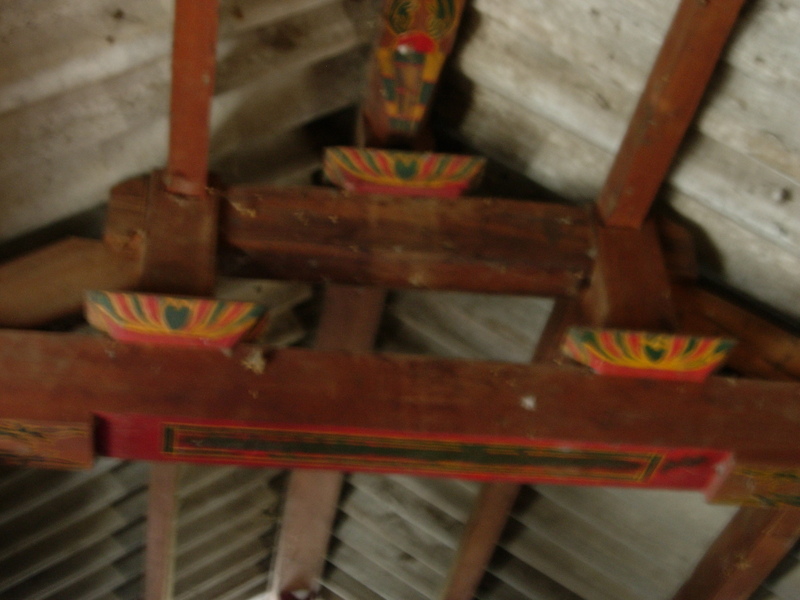 There really wasn’t much to see but the unique colored geometrical patterns painted on the house beams, something I never saw in any of the others. It’s obvious that not a lot of people make it to the village as the children were really shy and ran away when I approached. They were really cute and small. Tu Va would be remember however as the sight of the most shocking thing I’ve ever seen in Vietnam or in any of my travels . 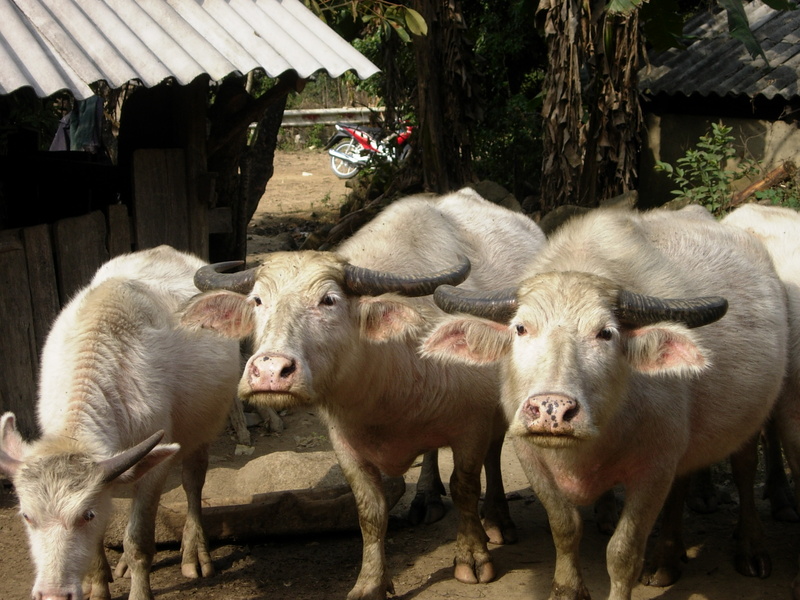 As I walked to one of the houses, a really old barefoot H’mong woman walking ahead of me suddenly lifted put her leg up and lifted her skirt to pee on some pigs! In broad daylight I saw her hairless private parts! Eeeeewwwwwww!!!!!!! I think even my driver saw it as he suddenly turned back. Fortunately, I had en empty stomach or I would have puked all over. Come to think of it I’m not quite sure if there really is a village by that name. Maybe he just made it up so he could earn the extra cash. 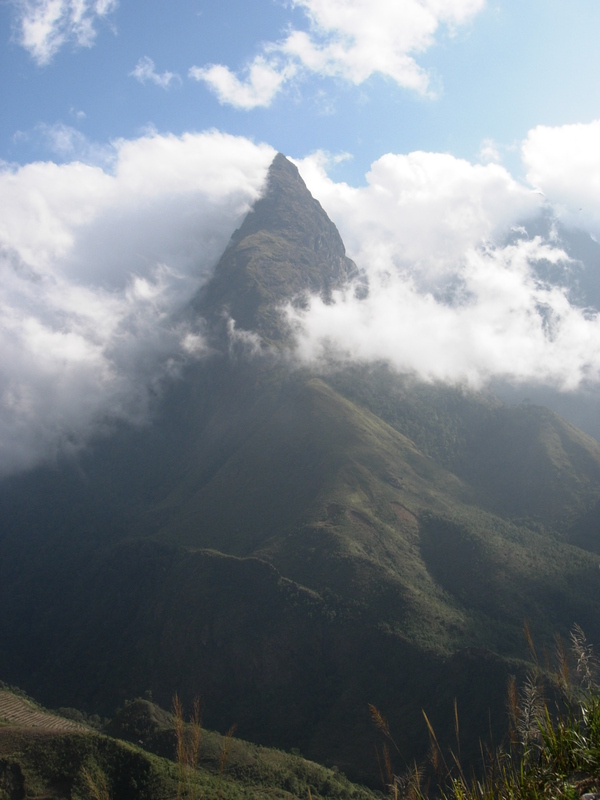 Nevertheless the ride along the pass was magnificent with its verdant hills and cloud-capped peaks. 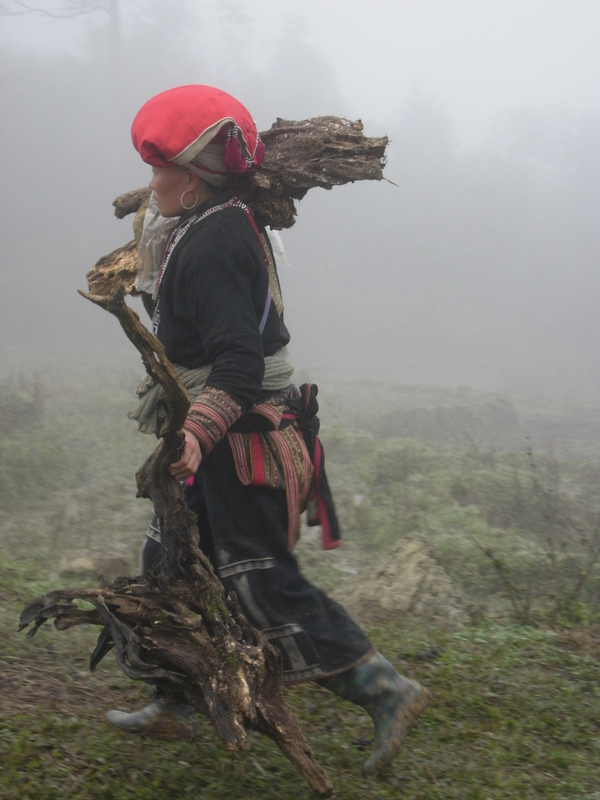 I never made it to the other areas of Lao Cai Province and several outlying villages of Sapa were left unexplored. But what I saw and experienced in Y Lin Ho, Lao Chai, Ta Van, Cat Cat, Sin Chai, Matra and Ta Phin were definitely the highlight of my Vietnam trip and makes Sapa one of the places I’ll never write off from my itinerary.